The Chinese-born pianist Chenyin Li is well known to many of us since she lives locally and teaches at the Bishop's Stortford College, and has performed for us in Stansted before. But Chenyin is internationally acknowledged as one of the most exciting and sought-after musicians of her generation. Her career was launched after winning the 6th Scottish International Piano Competition in Glasgow, as well as being the first prizewinner of the Campillos International Piano Competition, Dudley International Piano Competition and the European Beethoven Gold Medal. She has been described as a “gritty, fiery and athletic pianist, backed by a strong technique arsenal” (The Daily Telegraph), and “a player of remarkable subtlety” (The Scottish Herald), who “understands the original intentions of the composers as well as bringing her own individual interpretation which invests the music with a new life” (National Business Review). Chenyin has appeared as soloist with the Royal Scottish Symphony Orchestra, the China Symphony Orchestra, the Aarhus Symphony Orchestra (Denmark), the New Zealand Symphony Orchestra, the Phoenix Symphony Orchestra (USA), the Regensburg Symphony Orchestra (Germany), collaborating with conductors such as James Loughran, En Shao, Nanse Gum and Alexander Lazarev. In the UK, Chenyin has given recitals at the Royal Festival Hall, Wigmore Hall, Purcell Room, Queen Elizabeth Hall, St. Martin-in-the-Fields, St John’s Smith Square, Bridgewater Hall (Manchester) and Royal Concert Hall (Glasgow). She has participated in International Music Festivals such as the Presteigne, Leeds, Machynlleth and Ribble Valley. Abroad Chenyin has played in the USA, Spain, France, Holland, China, Germany, Denmark, Italy, Japan and New Zealand. Chenyin was a pupil of Tamas Vesmas at the University of Auckland in New Zealand and later went on to study in London at the Guildhall School of Music and Drama with Joan Havill, where she was awarded the Postgraduate Concert Recital Diploma, Premier Prix and Master’s degree. She was the first student to gain a Performance Doctorate Degree from the Guildhall School, leading to the publication of her book Memorisation: The Essential Guide for Pianists. 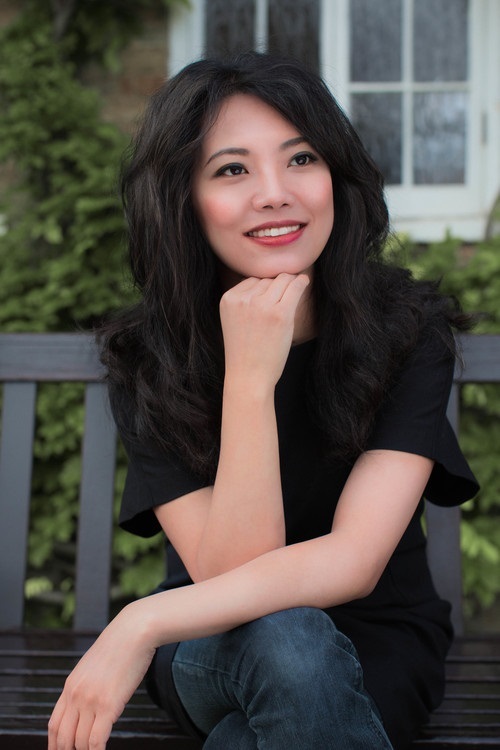 Apart from playing, Chenyin enjoys teaching and she is currently a member of the piano faculty at the Junior Guildhall School as well as at the Bishop’s Stortford College. In recent years she has been invited to give masterclasses at international piano festivals in the UK, New Zealand and China, and to be a jury member for the International Tchaikovsky Youth Competition and the Suzana Szöreny International Piano Duo Competition in Romania. Chenyin’s other passions in life include reading Chinese martial arts novels, BBC Radio 3, aimless walks, crispy winter sunshine and Tie Guan Yin tea. She would however exchange all of the above for an uninterrupted night of sleep if her young sons permitted it.